SIDNEY — An Oregon man involved with major trafficking of marijuana will serve the next two years in prison and will forfeit nearly a quarter of a million dollars in cash. 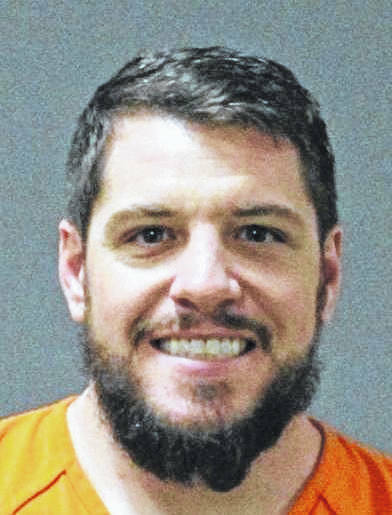 Leon Francis Jr., 33, Cave Junction, Oregon, was sentenced on a charge of possession of drugs, a third-degree felony. He was taken from court for transport to the Ohio Department of Rehabilitation and Correction entry facility in Columbus after being sentenced in Shelby County Common Pleas Court, Friday, Feb. 8. He faced a maximum sentence of three years in prison and a $10,000 fine. A co-defendant and girlfriend, Sarah Jones, 32, same address, was placed on five years of probation in related court action on Friday. She will forfeit a 2018 Outback Ultra Lite camper and her portion of $246,322 in cash seized by police when arrested. Her probation supervision will be transferred to Oregon authorities. Judge James Stevenson acted on the recommendations of Shelby County Prosecutor Tim Sell and defense attorney Kevin Lennen with the two years incarceration. He also ruled Francis forfeit $246,322 and a Ford F-250 truck. Lennen asked for a lighter sentence, claiming Francis was wanting to turn his life around and continue his work as an excavator. Francis apologized to his family and the court, stating he wanted to look to the future in a positive light. Sell said Francis Jr. was cooperative with authorities and accepted responsibility. He added that Francis Jr. asked for a lighter sentence for Jones and a third co-defendant, Leon Francis Sr., 1235 St. Marys Ave., who will be sentenced Feb. 14. According to authorities, on Jan. 5, a search warrant was executed by Sidney and Piqua Police Departments, and the Ohio State Highway Patrol, at the home of Francis Sr.
Officers reportedly saw Jones enter the residence. Reportedly, no one answered the door and a narcotics search warrant was requested. Francis Sr. was in the house while Jones was discovered in the camper along with drugs and cash. Officers recovered marijuana, hash, and THC products, and the cash that was concealed in the camper parked behind the residence. Prior to the search, Francis Jr. left the residence in the pickup truck and was located by police at 760 E. Hoewisher Road. Authorities later seized the camper and truck. The record noted the drug activity was within 1,000 feet of Northwood Elementary School, which impacted the level of the charges. Francis Sr. claimed the marijuana, hash oil, and other THC products located in a bedroom in the house were for his personal use. Investigators indicated the camper and truck were used as part of a large drug trafficking trade spanning multiple states. The report also indicates the St. Marys Avenue residence was home to parties believed to be involved with the suspected trafficking enterprise. On Sept. 23, 2017, the elder Francis was stopped by Transportation Security Administration (TSA) agents while carrying $50,000 cash at the Dayton (Ohio) International Airport. A drug search canine alerted a detection during an open-air sniff of the cash. The cash, all $20 notes vacuum sealed, was seized by Homeland Security. Agents also noted Francis indicated he was travelling to California when he had a plane ticket to Oregon. Francis told agents the cash was for his son’s business. Sell noted the report stated that, three weeks prior, Francis Sr. had been stopped by the TSA agents at the Dayton airport carrying $40,000 cash. Francis claimed the money was from him cashing in a retirement account. He was released by agents that day. The prosecutor wrote that Sidney Police had a “known and reliable confident informant” that advised Francis Jr. was a known large trafficker of marijuana and had residences in Columbus, California, and Oregon.